Eighty percent of America’s best 15 companies for tech workers are headquartered in the Bay Area. Menlo Park’s Facebook ranks as the best tech workplace in the U.S., followed by San Jose-based Adobe Systems. After not being included in 2018’s list of top tech workplaces, Airbnb jumped to No. 3 this year, while Google dropped off the rankings. are not the only draw of local companies. That’s according to job portal Indeed’s rankings of the best tech workplaces in the U.S. this year based on more than 100 million employee ratings and reviews on its website. 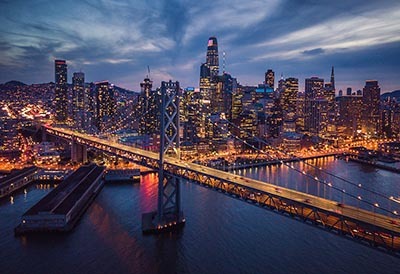 Of the 15 tech companies included in the 2019 list, 12 of them are headquartered in the Bay Area, with Silicon Valley of course accounting for the lion’s share. Social-networking titan Facebook takes the No. 1 spot this year, up from No. 3 in 2018. Employee reviews praise the Menlo Park-based company for its outstanding perks and benefits and the opportunity to work with highly intelligent colleagues. Indeed mentions CEO Mark Zuckerberg’s large donations to San Francisco General Hospital, and besides his philanthropic efforts, the Facebook founder is also spearheading an industry initiative that will allocate $500 million to build affordable housing in Silicon Valley. San Jose’s Adobe Systems held steady from last year in the No. 2 position, with employees noting that the company’s culture is low-stress while fostering creativity. Adobe also earns kudos for its onsite gym and cafeteria and employee activities. San Francisco-based Airbnb — which didn’t even rank among the country’s best tech workplaces last year — comes in at No. 3 in 2019. Workers at the vacation-rental revolutionary enjoy perks such as free meals, travel vouchers, and happy hours, and managers garner accolades for motivating employees and allowing them to share their own ideas. The rest of the Bay Area-based companies named to the list reads like a who’s-who of the high-tech industry: Intuit (No. 4, Mountain View), Yahoo (No. 5, Sunnyvale), Salesforce.com (No. 6, San Francisco), YouTube (No. 7, San Bruno), LinkedIn (No. 8, Mountain View), Apple (No. 10, Cupertino), eBay (No. 12, San Jose), Cisco Systems (No. 13, San Jose), and AMD (No. 15, Sunnyvale). YouTube and AMD are newcomers to the list of America’s best tech workplaces, while Google’s absence from the 2019 rankings is noteworthy.